It’s the sort-of long weekend folks. I expect most people will take a 4day weekend and roll straight from Friday through Canada Day on Tuesday and well done on you! First up: there are FOUR more days of Ottawa Fringe Festival in the hood headquartered at Arts Court. The choice is expansive with many excellent shows selling out. I can’t recommend it more and am personally gutted to see the end in sight – but there is still time for more PHEW. I’ve had countless hours of entertainment this year and will miss the explosion of international and local talent as well as the free concerts and conviviality of the Waller Park beer tent when it wraps. If you do nothing else this weekend take a trip to the Fringe. The Ottawa Jazz Festival continues their eclectic class act til 30June. Catch a show then take in the Late Night Jamming sessions at The Albion Rooms starting at 10:30PM. Thursday evening: Sandy Hill Heritage Study from 6-8:30PM at the Sandy Hill Community Centre 250 Somerset St E. Free entrance 5-8 at the National Gallery & the Byward Night Market is open for all your fresh produce shopping needs til 9PM. Thursday night: Claude Munson host the open mic at Cafe Nostalgica. Free concert 9PM at Waller Park in the Ottawa Fringe Beer tent including Crissi Cochrane & Three Little Birds. Over at Ottawa’s only Jail/Bar Mugshots 75 Nicholas St its all going off til 2AM withs Rehab Pizza Party w/ Cadence Weapon & Silkken Laumann. Friday – still time for Fringe or check out the line up for great tunes alongside top brews with The Dirty Sheep, Sounds of Stories, Tales from the BackSeat and Novalatte all at the local Lunenburg Pub on Waller St.
Beautiful Saturday grab your bike and catch a brew and the sunset at 8LocksFlat on the Canal just off Colonel By side bike path. Best sunsets in Ottawa. Event of the weekend!! 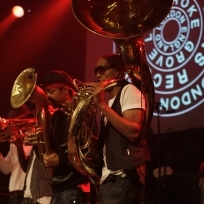 If you’ve never seen the Hypnotic Brass Ensemble then rush over to the Confederation Park for 10:30PM Saturday night to be properly enthralled. The 8-piece hailing from Chicago will not disappoint. It’s made up of the 8 sons of Jazz Trumpeter Phil Cochran and with only horns and a drum-set it will set your night on fire guaranteed. First time I saw these guys was an impromptu street gig on Portobello Market in 2009 – so word to the wise they frequently set up busker style (of course Ottawa City might fine them!) to get the vibe of the City. Saturday night final chance to get your Fringe on and don’t miss the closing free night of concerts on the Downtown Rideau Stage in Waller Park featuring Ottawa favourite Silkken Laumann at 10PM. For Sunday through Tuesday we recommend checking out OttawaStart for all the Canada Day festivities. 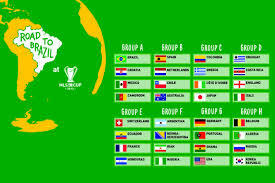 It’s here and it’s in your neighbourhood. The Ottawa Fringe Festival opens Thursday evening with most venues in and around Sandy Hill from the Arts Court headquarters through St Alban’s on King Eddy. As well as a cavalcade of new shows there is also Free Programming with concerts on the Downtown Rideau stage in Waller Park, the Courtyard for lounging and local fave Albion Rooms is getting in on the fun with 8 dishes for 8$ each from 8PM-Midnight exclusively for Fringe go’ers. As championed by Jian Gomeshi Fringe showcases some of our countries greatest artistic talents, the shows are plentiful and the prices are knock-down cheap – support the artists, support local and get your 10days of Fringe on! Though with the free concerts, great eats and tremendous shows you’re schedule will be packed for the next 10days there is always time for more right? Love jazz then check out all the great events going on at the Ottawa Jazz Festival on from 20-30June. Our favourite aspect is the unpredictable Late Night Jamming sessions and we are thrilled that this year they’ve relocated The Albion Rooms. Pop in around 10:30PM and be amazed. Thursday night 6PM at Patro – 40 Cobourg St – a public meeting to discuss cycling infrastructure on St Patrick St. The Mayor issued a letter yesterday via Citizens for Safe Cycling proposing that cyclist accept “Super Sharrows”, sidewalk riding and a 3 block (between Cobourg & Beausoleil) ped-cycling mini-path as a solution. We hope this mish-mash “solution” is challenged and attendees advocate for a true solution. We suggest slowing traffic speeds, thus enabling narrowing of car-lanes and addition of permanent protected bike lanes. Grab your swim kits kids, local Sandy Hill wading pools open this Friday! UPDATE: City website is out of date and Patro wading pool is NOT OPEN Both the brand spanking new pool by the Patro – 40 Cobourg – and the pool in Strathcona Park open June 20th whereas July 2nd is the date for the pool by the Sandy Hill Community Centre. Happy splashing! Having advocated for cycling infrastructure on Thursday reward yourself with a Bike Rave and a party at Bank St’s beguiling Glow Fair. Yep it’s Ottawa’ 1st Bike Rave Friday night 7:30PM starting at 200 Lees Bike Coop. The bike rave is a critical mass-style group ride with portable music that includes dance party stops and ends at the Bank Street GlowFair Party. Costumes and glow sticks are highly encouraged. 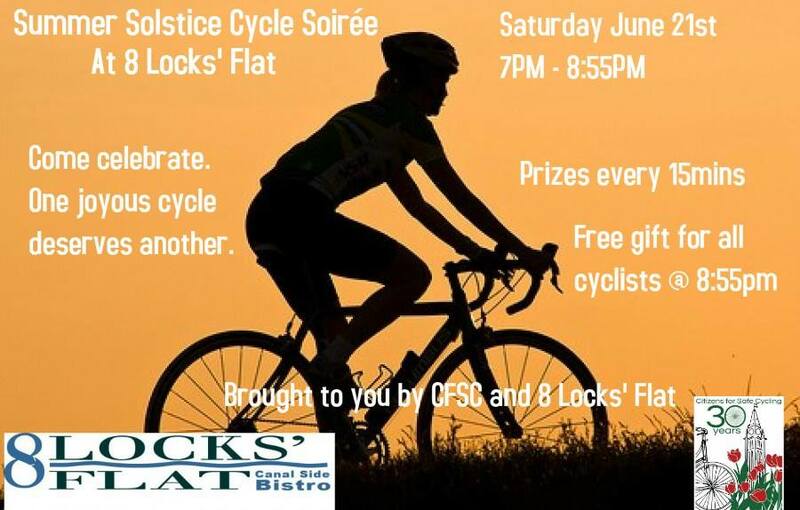 Saturday from 7PM it is the Summer Solstice Cycle Soiree at 8 Locks Flat (191 Colonel By – the beach resto along the canal between Corktown Bridge and Laurier St). In conjunction with Citizens for Safe Cycling there are prizes every 15mins and a free gift for all cyclists at 8:55PM. Thanks for supporting cycling through the cold depths of winter 8Locks and thanks for having the best licensed bike-friendly sunset views in Ottawa! 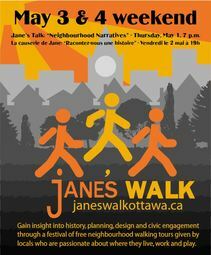 The pick of the weekend is the 2-day Jane’s Walk phenomenon that, based on Jane Jacob’s advocacy for walking as a way to connect, understand and build thriving communities, sees a growing number of volunteers organise informative FREE strolls around Ottawa neighbourhoods this Saturday and Sunday. The areas are so diverse the times so disparate you are sure to find many that slot easily into your weekend plans and there is even a pick of French & English tours. There are over 50 walks organised this weekend and all are clearly listed here. Get walking and get connected with Jane’s Walk. Thursday evening where else would you be but the Jane’s Walk launch at the Jane’s Walk Headquarters in Arts Court. Adrian Harewood MC’s the event and there is a walk-through video installation by artist Jessica Aylsworth while speakers include author Alain Miguelez, Poet David O’Meara and story-teller Dennis Van Staalduinen. Local and free 2 Daly Ave, 7-9PM. Friday night is new theatre work Corpus at Arts Court. We are looking forward to seeing this piece and what Director Bronwyn Steinberg – winner of the Prix Rideau Awards Production of the Year 2013 – is brining to the stage. Run continues til May 10th, 15-25$ 8PM. Saturday May 3rd is the opening of “Creatures of Light” at the Museum of Nature. This exhibit of creatures from the deepest darkest depths of the ocean – what we fondly call the “midnight zone” – that generate light from there own body using bio-luminescence. In our house we are mad about bio-luminescence so count on seeing us racing around the castle looking for Angler fish, sephonophores and more. Truly, bio-luminescence is tremendous. At 2PM it’s the penultimate performance of the Pennsylvania Ballet’s Coppelia at the National Arts Centre (NAC), One of the most charming ballets it is sure to entrance all comers. NAC 2PM & 8PM. Sunday afternoon there is a French language Jane’s Walk hosted par les enfants, pour les enfants – pls scroll down when link opens page is not blank –. Explore Cote de Sable from a kid’s perspective. Walk starts at 2pm and the meeting point is the corner of Somerset East and Goulburn. 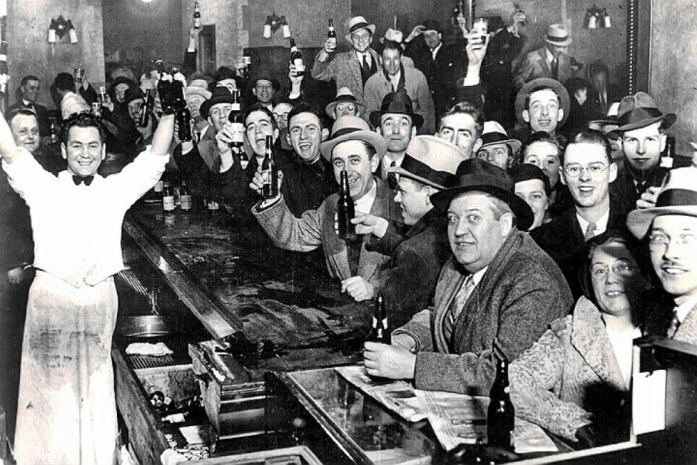 At 4Pm it’s the Ottawa Jane Walk Wrap Party at the Lieutenant’s Pump on Elgin Street. Join fellow walking enthusiasts and check out the new “Gallery Room” that opened just last Thursday. Start off the work week with a fun Monday night Arts Court evening. Art Battle features 12 painters who have 20minutes to create on canvas then the gathered crowd picks the night’s winner.10-15$ 7PM Love it! Finally, want to check out a new restaurant? Well Nu Seafood hasopened today in Vanier at 79 Montreal Road and they are doing a 1/2price menu until next Friday. Get in and let us know what you think. Rumour is the fish taco is delicious. Today’s guest post in honour of World Autism Day (April 2nd) is from Autism Expert, Seneca College Professor & Behavioural Science Program Coordinator and Founder of SmartSteps Laura Cavanagh who shares her expert insight on Applied Behaviour Analysis (ABA). Locally: Autism Speaks Fundraiser tonight (April 3rd) at the Lunenburg Pub (Waller St.) Live Music & Pay What You Can at the door. Estimates indicate that 1 out of every 68 individuals has a diagnosis of an Autism Spectrum Disorder. This is one of most common developmental disabilities affecting Canadians of all ages. Without a known cause or cure the treatment of choice, supported by research-based evidence, is behavioural intervention based on the science of Applied Behaviour Analysis (ABA). But what exactly is ABA? ABA has become a buzzword since ABA, ABA-therapy, ABA-based interventions, and other ABA-based services were designated as the preferred treatment —thanks to a mountain of evidence-based research—for children with autism. In parts of Canada it is deemed a medically-necessary intervention for children with autism—the holy grail of designations rarely doled out to non-pharmacological, psychotherapeutic-type interventions. In spite of this, misconceptions about what ABA is (and what it isn’t) abound. The biggest one, I think, is that ABA is something that happens when your child is seated at a table with a trained behaviour specialist, but not something that’s happening at other times—at the grocery store, at the park, at the coffee shop, on the playground. Here’s the definition my students get in ABA 101: ABA is the science that seeks to understand, analyze, and modify human behaviour. Alright, so you’re not running data analysis on your barista’s behaviour. But how about the “modifying” part? Is your behaviour modifying others? And vice-versa? Say you snap at your barista as they text on their phone ignoring you or say they mess up your coffee because you publicly berated them. Either way both you and your barista have modified each other’s behaviour. BOOM: You’re a behaviour interventionist. Because we don’t live in a vacuum, our behaviour affects others, and vice-versa. It’s true in the coffee shop, in the classroom, and in virtually every interaction you have with your child. 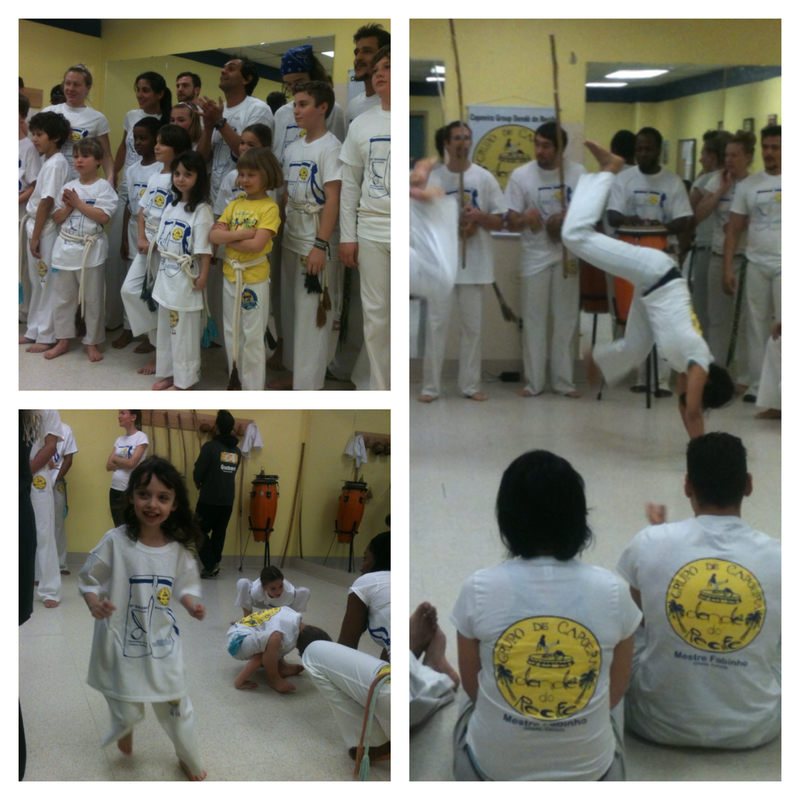 The key is that ABA gives us a methodology for being mindful and systematic in our approach and in our impact. Dr. Ivar Lovaas of UCLA first applied the techniques of ABA in 1987 with startling results. His initial data indicated almost half of his treatment group were admitted into mainstream classrooms and described as being indistinguishable from their peers. Although few investigators have been able to replicate Lovaas’ success rate, studies show that children with autism benefit greatly from intensive treatment based on the principles of ABA. The American Academy of Pediatrics states that the benefits have been well-documented in research literature, and that “children who receive early intensive behavioural treatment have been shown to make substantial, sustained gains in IQ, language, academic performance, and adaptive behaviour as well as some measures of social behaviour”. In Ontario, the Ministry of Child and Youth Services endorsed intensive ABA-based therapy as the treatment of choice for individuals with autism with the implementation of its Intensive Behavioural Intervention (IBI). In 2000, the first children in Ontario began to receive treatment through the government’s fully-funded IBI program. By 2006 alone, government funding to the program was set at over $78 million. In 2007, the government expanded the scope of the IBI initiative to manage wait lists and meet increasing demand for service. The Ministry of Education then built upon this mandate with the introduction of Policy/Program Memorandum 140 (PPM-140), entitled Incorporating Methods of Applied Behaviour Analysis (ABA) into Programs for Students with Autism Spectrum Disorders (ASDs). PPM-140 ensured that individuals on the autism spectrum continued to receive government-funded ABA-based supports, now through the school system. The government of Ontario has continued to expand upon and prioritize the provision of ABA-based intervention in the form of IBI and other ABA-based supports. The high prevalence of Autism Spectrum Disorders in our province is recognized as a serious social and public health issue that needs immediate action. The demand for qualified professionals to fill the roles of service providers has been an issue with the government’s initiatives since their inception. A workforce of highly-trained and skilled professionals who can implement the services and supports needed to meet the needs of individuals with autism and their families is required. Enter Seneca College’s Behavioural Sciences diploma program. This program is specifically designed to fill the requirement for trained Autism ABA specialists. The beauty of ABA is it’s not just a therapy, but a way to measure the impact of our behaviour on others. This is true whether we’re trying to impact someone’s behaviour by teaching them a new skill, by encouraging them to communicate, or by helping them to stop biting the kids in their class. And it’s also true that all of our behaviours—whether it’s a carefully planned instructional period, an impromptu lesson borne upon a spontaneous teachable moment, or an insult hurled in a moment of anger—have an effect on others. Interested in ABA? Good, you’re already wielding it’s incredible power, now harness it. Lovaas, O. I. (1987). Behavioral treatment and normal intellectual and educational functioning in autistic children. Journal of Consulting and Clinical Psychology, 55: 3-9. Myers, S. M. & Johnson, C.P. (2007). Management of children with autism spectrum disorders. Pediatrics120 (5): 1162–82. Perry A. (2002). Intensive early intervention program for children with autism: Background and design of the Ontario Preschool Autism Initiative. Journal on Developmental Disabilities, 9 (2): 121-129.